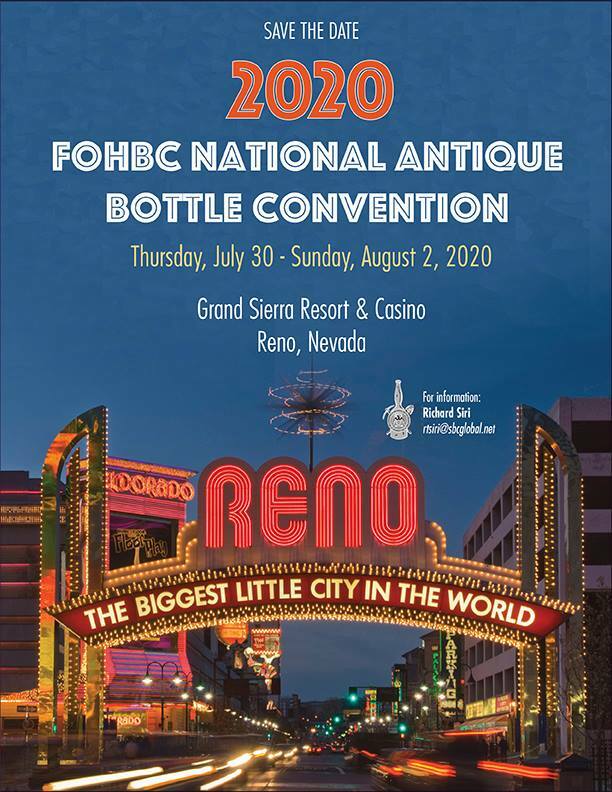 After an extensive search, negotiations, presentations and FOHBC board approval, Reno has be selected as the location for the FOHBC 2020 National Antique Bottle Show & Expo. 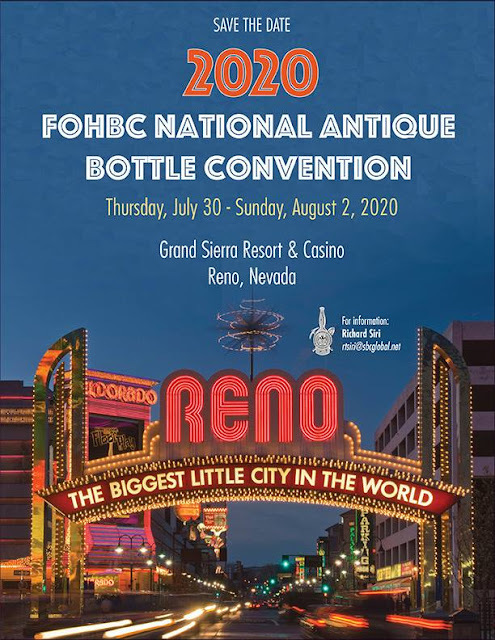 The event will be held at the Grand Sierra Resort & Casino. Richard Siri will act as Show Chair. Team Reno at this point will also include Warren Friedrich, Eric McGuire and Ferdinand Meyer V. Essentially the same team as the very successful 2016 Sacramento National.